After a two week Spring Break, we are easing into the Easter madness with Spring kites. 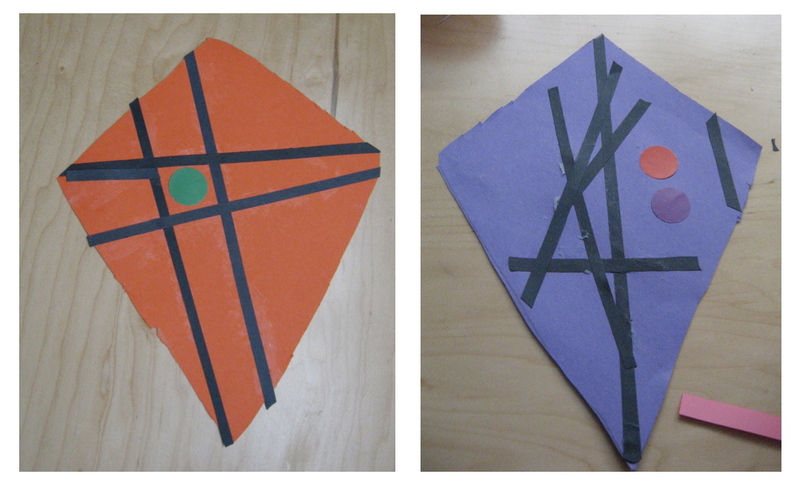 Today we made a kite glyph. I love glyphs. 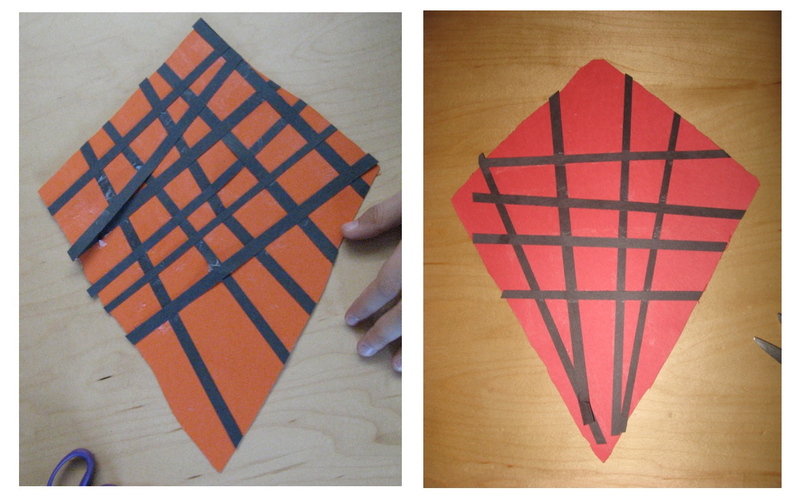 I tell the kids that we are putting a secret code into our work. 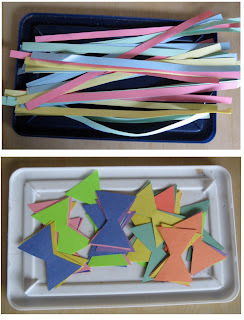 The kids think they are doing a fun craft, but I know that they are doing math (and today, some language arts skills). 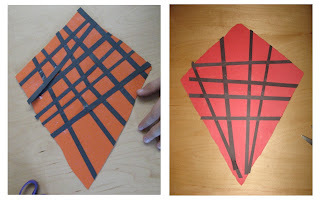 First the kidlets had to choose a kite colour, trace a kite from a cardboard tracer and cut it out. - the same number of black stripes as letters in their name. - the same number of dots as syllables in their names. 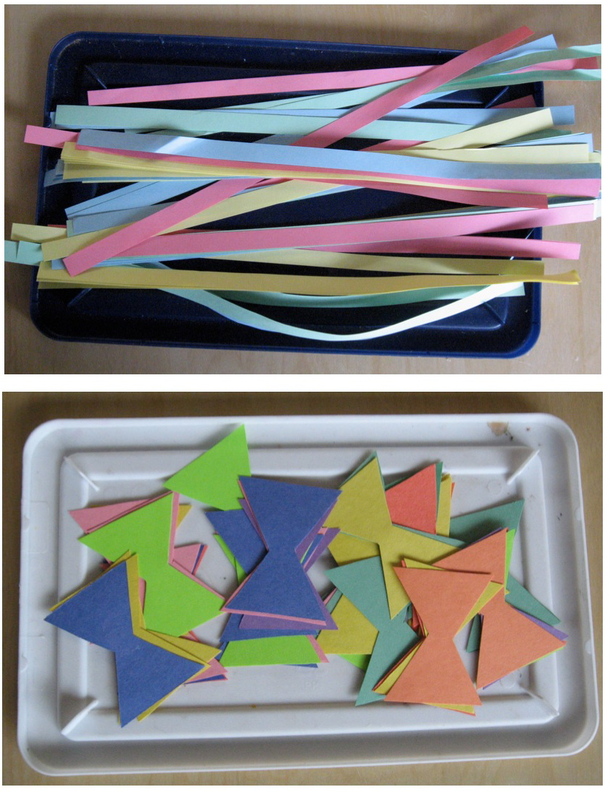 - the same number of bows as vowels in their names. 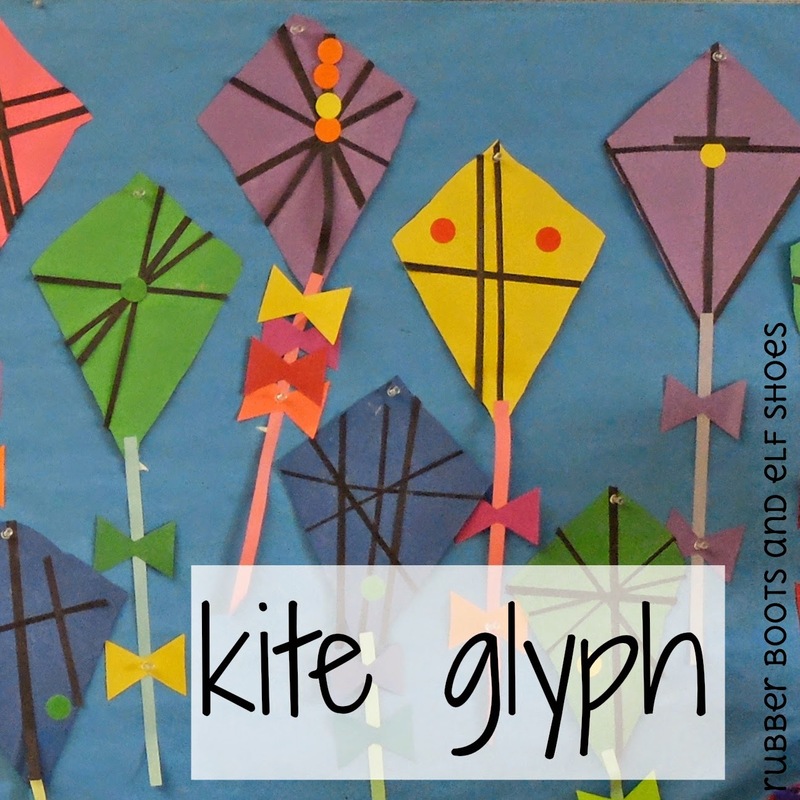 The kites add a bit of Spring colour to our classroom. 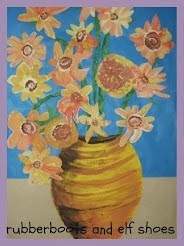 What new spring art are you creating? These are super cute! Thanks for the inspiration! Don't you love this weather!! Sunshine is the best. We are having our maple syrup that we made tomorrow with waffles. Liz - you guys MADE maple syrup - how cool! A couple of years ago one of the girl's grandpas made maple syrup and gave some to us to enjoy. But making it yourself is SO much better. Thank you for linking up with last weeks's We Love Weekends! 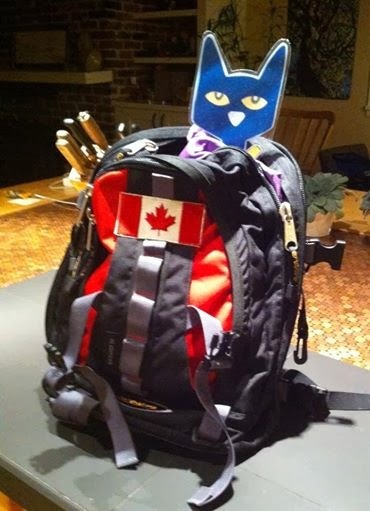 You have been featured on this week's post via Witty Hoots! Hope to see you linking up again soon! 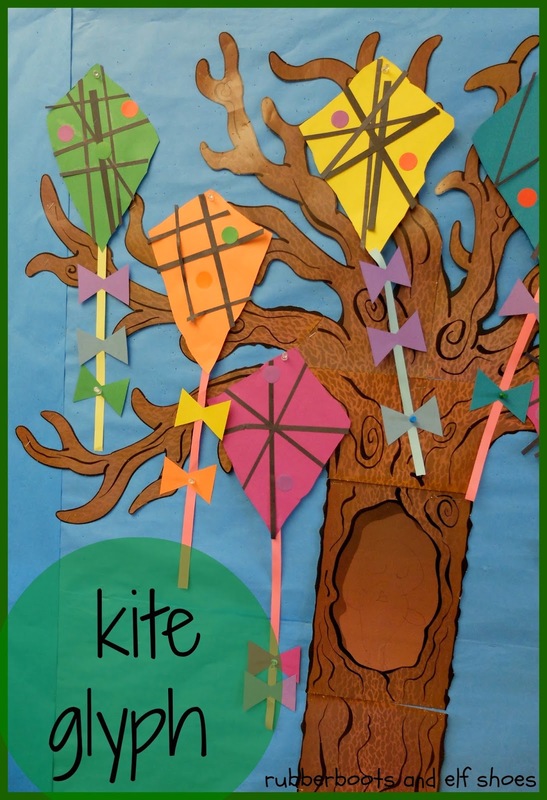 Love these kites! 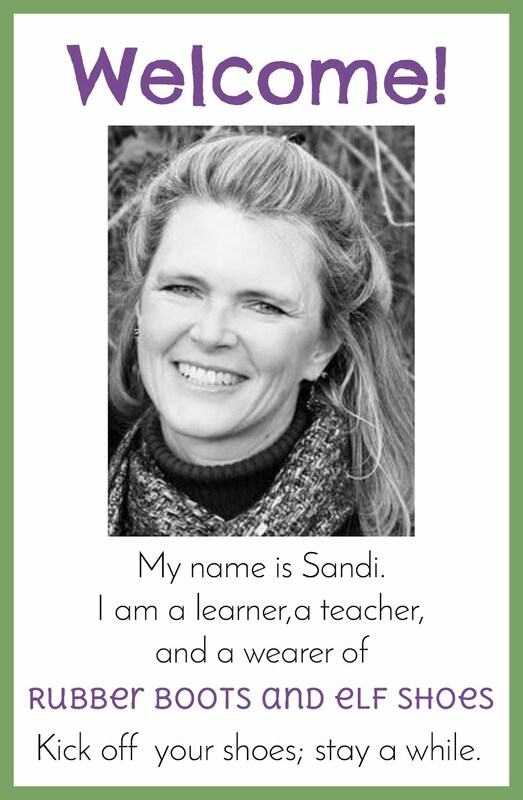 I will be featuring this post at the Thoughtful Spot today. Thx for linking up all your great ideas.